Optiv GRC experts assist your organization holistically by optimizing people, process and technology. Purchasing a GRC tool without a program strategy will drive minimal business value. 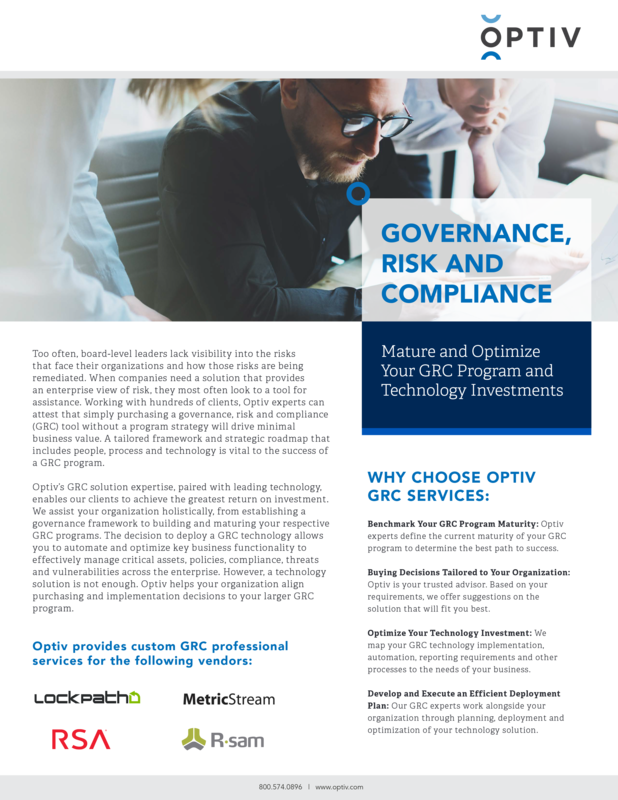 A tailored framework and strategic roadmap is key to the success of your GRC program.